Not much to go on here but presumably n-w, w or s-w London. Not quite as anonymous but I have no idea where it is. Hi, I come from Hitchin, Hertfordshire, some scenes are filmed there. My dad's family was from Hitchin. Small world, etc.! 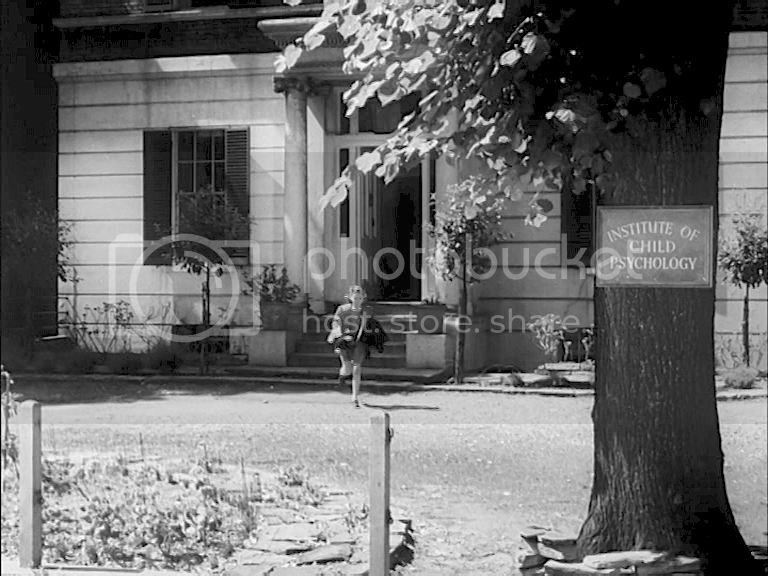 For some reason the top picture reminds me of Hampstead Garden Suburb. Amazing Sandgrounder. Either you are absolutely correct or it's another building from the same architect's plans!! sandgrounder - I think I'll concur with alan gowdy when he says 'you are absolutely correct'. 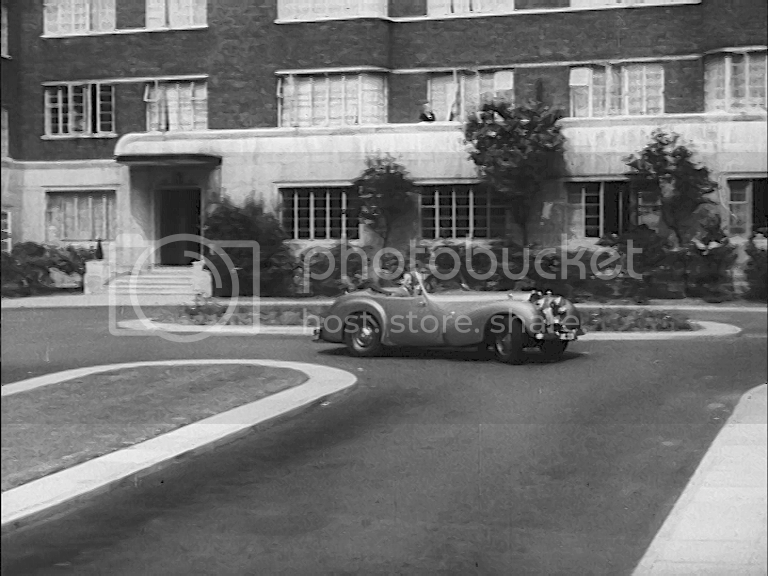 I notice that the same building, but not the part shown here, features in 'Four Days' (1951). Well done, many thanks. Well done Doc, so the buildings on the far right are the back entrance to Lord's cricket ground. Looks like the road is now 'private'. The 'anonymous' houses Christopher refers to in the close was under offer at £18m!! Last edited by tavistock; 25th June 2017, 08:11 AM. DocRobert Pepper - I think even with sandgrounder's Prince Albert Road find it would have taken me a long while to make a connection with Cavendish Close, so well done once again. £18 million, mind boggling. Looking back in the old britmovie archive I see that I posted the first three images, in a fuzzier form, about eight years go, how time flies!, and at that time the one reply suggested the views were studio sets. I'm certain they are not sets so here goes once again. Christopher I believe the girl is leaving Hotwater Court and entering Fann Street, London EC1 then crossing into Charles Street, passing the bombed Welsh Chapel that shows in your second picture. There is a picture of the chapel on LMA Collage https://collage.cityoflondon.gov.uk/...FdVUxc3A/32439 To double check M Rosenberg (London) Ltd, Skirt Manufacturers (they must have slacks as well!) were at 49 Fann Street that was on the corner with Hotwater Court. Foxfields, how the hell did you find that? Foxfields, very many thanks for pointing this out. Believe it or not I had spent a lot of time with a Kelly's street directory, 1954, looking for 'Ros……' with an 'M' initial and managed to miss 'Rosenberg, M' of 49 Fann Street. Anyway I now see it listed on p1732!. I had a feeling that it was 'somewhere near' all the Barbican devastation but had been spinning my wheels for years. Once again very many thanks. I used a telephone directory and like you missed it on the first run through but worked on the basis that a firm of that size just had to be listed. Found it working backwards!